Ama, Pilgrim's statement earrings designed with two rings and a beautiful white freshwater pearl. 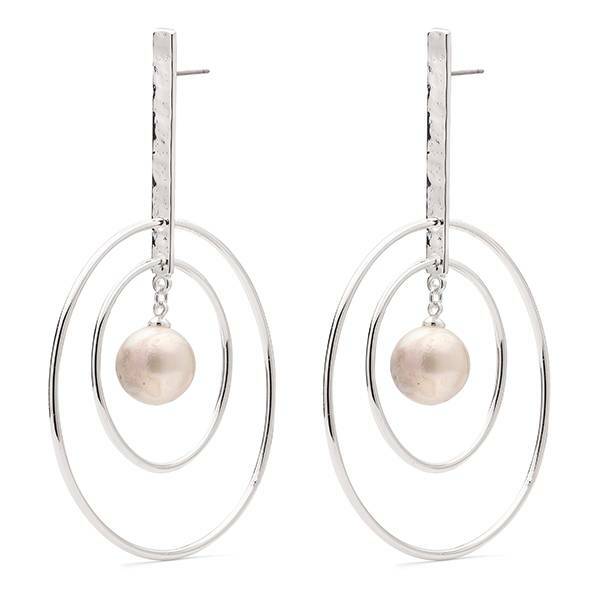 These earrings are part of the Ama Collection, inspired by the Japanese female pearl divers called Ama divers. Note: Each pearl is unique and may vary in colour and shape.